See Max Weinberg tonight at World Cafe Live. Team Coco poured one on the curb this November when affable drummer Max Weinberg, longtime bandleader for Conan O’Brien’s late-night antics, did not follow the comedian to his new TBS talk show. The decision was by mutual agreement, both parties told The New York Times; the drummer was rumored to need more recovery time from his February heart surgery. 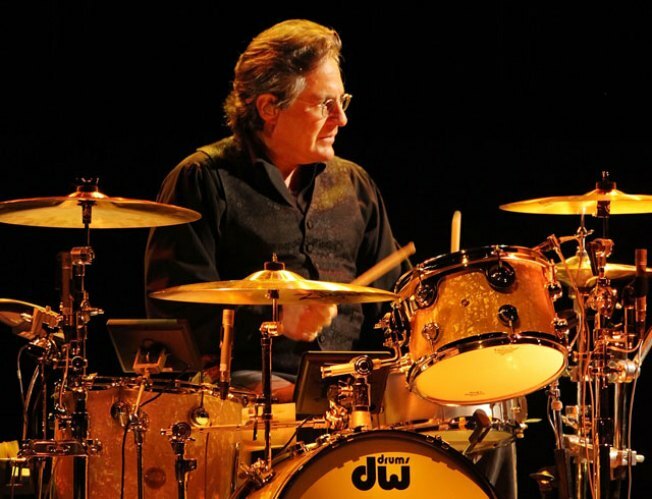 This year, while Conan was riffing live in his "Legally Prohibited from Being Funny on Television" tour, the drummer formed the Max Weinberg Big Band. The 15-piece, horn-heavy ensemble focuses on the standards of Frank Sinatra, Count Basie, Maynard Ferguson, and other pop and jazz familiars. The group debuted this June at the Count Basie Theater in Red Bank, New Jersey, and have been adding dates to their ongoing tour since then. Today, the Max Weinberg Big Band announced their first New York gig: they’ll be performing at Irving Plaza on January 7. Tickets are currently on presale now and are released for general purchase on Thursday at 10am.